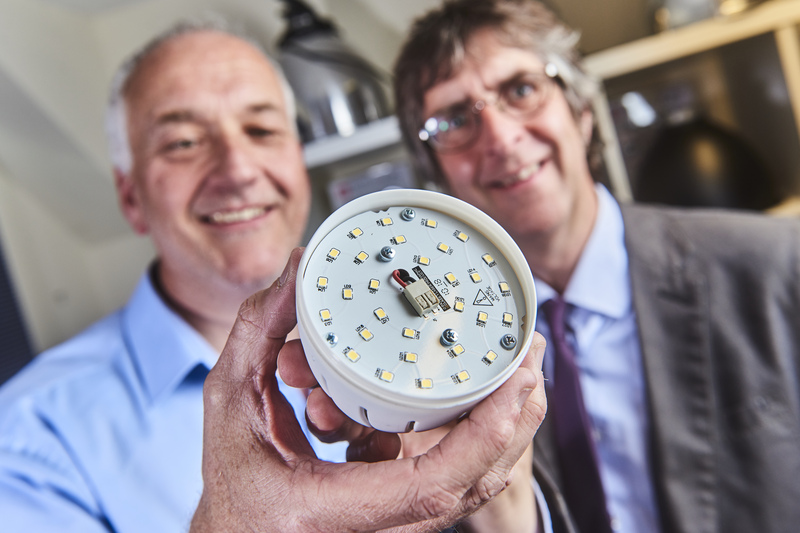 Midlands based Global darkroom specialists Paterson Photographic Ltd in Tipton have added daylight to darkness in their leading studio and theatre lighting equipment thanks to LED technology support from WMG at the University of Warwick. One of the main things Paterson Photographic has developed a global reputation for is the quality of their darkroom equipment, but recently it also wished to re-enter the studio lighting market with a comprehensive range of Continuous Lighting units manufactured in their own UK factory. In order to do that it wanted to enter the market with a studio lighting range that used LEDs with colour temperature of 6000K (daylight) rather than the most common methods using fluorescent lighting. There are only a small number of other products on the market for studio lighting with daylight emission using LED bulbs so this would provide Paterson Photographic a technological leap in their products. To achieve this Paterson Photographic turned to the SME (Small and Medium Sized Enterprises) support team in WMG at the University of Warwick. They provided technical and research support allowing Paterson Photographic to launch a the first batch of LED based daylight products with bespoke coloured filters at the recent 2018 Photography Show at Birmingham’s NEC. The new products are expected to generate sales in six figures for Paterson over the next year.